Stewart Brand has been active in politics since the 1960s, when he persuaded NASA to release the first images of the earth from space. The biologist, author and environmental activist sat down with Martin Eiermann to talk about the importance of discoursive frames, nuclear power and the benefits of technological innovation. The European: You are currently involved in the Rosetta Project which aims to preserve the world’s dying languages. Has society become too eager to discard things and ideas? Brand: Interesting, I never thought of it that way. I think we have become too shortsighted. Everything is moving faster, everybody is multitasking. Investments are made for short-term returns, democracies run on short-term election cycles. Speedy progress is great, but it is also chancy. When everything is moving fast, the future looks like it is next week. But what really counts is the future ten or hundred years from now. And we should also bear in mind that the history that matters is not only yesterday’s news but events from a decade or a century or a millennium ago. To balance that, we want to look at the long term: the last ten thousand years, the next ten thousand years. The European: A big picture approach to issues like climate change and cultural transformation? Brand: We’re bearing in mind the big picture. Let me give you an example of how that approach might play out: When NASA released the first photographs of the earth from space in the 1960s, people changed their frame of reference. We began to think differently about the earth, about our environment, about humanity. The European: Did the idea of the “Blue Planet” even exist before those photographs became public? Brand: There had been many drawings of the earth from space, just like people made images of cities from above before we had hot-air balloons. But they were all wrong. Usually, images of the earth did not include any clouds, no weather, no climate. They also tended to neglect the shadow that much of the earth is usually in. From most angles, the earth appears as a crescent. Only when the sun is directly behind you would you see the whole planet brightly illuminated against the blackness of space. The European: So the arguments we make about politics or about the environment are very intimately tied to our perceptions, and to our emotional reactions to those perceptions? Brand: I think there is always the question of framing: How do we look at things? The first photos of the earth changed the frame. We began to talk more about “humans” and less about Germans or Americans. We began to start talking about the planet as a whole. That, in a way, gave us the ability to think about global problems like climate change. We did not have the idea of a global solution before. Climate Change is a century-sized problem. Never before has humanity tried to tackle something on such a long temporal scale. Both the large scale and the long timeframe have to be taken seriously. The European: Do you believe in something like a human identity? Brand: In a way, the ideal breakthrough would be to discover alien life. That would give us a clear sense of our humanity. But even without that, we have done pretty well in stepping outside our usual frame of reference and looking at the planet and at the human race from the outside. That’s nice. I would prefer if we didn’t encounter alien intelligence for a while. The European: One framing issue that comes to mind is the question of the extinction of species. The current rate of extinction is many times higher than the evolutionary average. Yet few people would probably argue that we are living through a critical period of the earth’s history. Brand: Geologists are making very persuasive arguments about the effects that our behavior has on the scale of tens of thousands of years. We have become part of the geological record. As a biologist, I would say that the rate of extinction is problematic but not as bad as we used to think. But what I am more interested in is the recreation of extinct species using DNA samples. If we can bring back the mammoth, it could replace the Tundra with the old Mammoth grasslands, which fixes much more carbon. The European: What is the value of reviving extinct species? Evolution progresses, species die and new ones arise. Why do you want to tamper with that process? Brand: It sends a message of hope. We can rectify past mistakes, we can undo damage and harm. It would give people the sense that if we can fix something as profound as the extinction of a species, what else could we do for biodiversity? Instead of just complaining about problems, we would move towards fixing problems. The European: Speaking of mistakes: You have defended nuclear power as a green source of energy. Has Fukushima led you to revise your position? Brand: Not at all. Climate change has forced me to look at alternative sources of energy that reduce carbon emissions on a large scale. Gas is better than coal. Wind and solar power are better than coal, but they are expensive and thus far haven’t made a significant contribution to our energy mix. I think that large solar farms in Northern Africa could eventually power Europe, but that’s in the distant future. So we need to look elsewhere. Nuclear power can reduce greenhouse gases. Once I began to take that idea seriously, I found that my fellow environmentalists tend to greatly exaggerate the dangers of nuclear power. I think nuclear fusion would be a swell option, but for now we have to work with what we have. Nuclear technology has been widely implemented, and the technology is advancing every year. The European: The German government is fairly confident that we can abandon nuclear energy by 2023 if we focus on gas, on renewables and on a decentralization of the power grid. Is that not a realistic goal? Brand: I don’t think Germany is even remotely able to do that. You turn off your power plants, and then you eventually have to import nuclear power from the neighboring countries. Germany should shut down its coal plants instead, just like France did a few years ago. But I am not sure whether democracies can really provide good answers to these questions that have very long-term impacts. The question is: If democracies cannot do it, what can? China has done a lot to expand carbon-neutral energy sources like nuclear power or water power. But China is no democracy. The European: So you are saying that the model of representative democracy has reached its historical peak and that we should open up to the idea of more authoritarian regimes? To me, a bright future looks decidedly different. Brand: No, I don’t believe in authoritarian rule. But we have to face the problem that long-term solutions are often incompatible with our current political and economic arrangements. Many who worried about the population bomb were quite sympathetic to China’s One-Child-Policy. But we have since seen that childbirths decline with urbanization and technological progress, so over-population is less dangerous that we used to think. When you empower women and give them control over family planning, family sizes decline. The current UN predictions of ten billion people by 2100 are simply misleading and not supported by reality. The European: So we have to improve the extrapolations and predictions that we make based on present data sets? Brand: Steven Pinker is currently working on a book about the decline of violence through human history. We like to think that we are living in a very violent time, that the future looks dark. But the data says that violence has declined every millennium, every century, every decade. The reduction in cruelty is just astounding. So we should not focus too much on the violence that has marked the twentieth century. The interesting question is how we can continue that trend of decreasing violence into the future. What options are open to us to make the world more peaceful? Those are data-based questions. The European: It is hard to see that positive trend when the violence and injustice that we experience on a daily basis demands our attention and demands to be rectified. Brand: And people get angry at Steven Pinker for pointing out these positive trends. But why would you be angry about good news? The European: I would respond that it is problematic to focus on the good news while neglecting the present problems. Too much optimism leads to complacency, right? That’s the flipside of the idea of security – sans curitas, without concern –, it leads us to focus on a distant future while neglecting our immediate surroundings. Brand: That’s a very German strain that has been influential ever since the Romantics were surprised by the violent aftermath of the French Revolution. Nietzsche is full of cultural pessimism, of heroic despair. Today, we see many environmentalists embracing the idea that the earth is headed for doom. The problem with that is that it begins to celebrate and elevate the apocalypse as inevitable, rather than think about ways to make things better. Just look at the idea that nuclear power is going to destroy us all. There is no rational basis for that fear. The European: What motivates that apocalyptic rhetoric? Brand: It’s tied to the Christian experience of rapture, to the coming of Christ in the end times of the world, when only the Christians will be gathered to meet him in heaven. Remember that there was an apocalyptic enthusiasm even in the counterculture of the 1960s and 1970s. Many of the communes were survivalist, planning to outlive a dying civilization and then reinvent it. They all failed. They are great fun and very educational, primarily because the world did not end. I put this challenge to anyone who desires the apocalypse: Go to an island and pretend that civilization has destroyed itself. And then build something that is better than the world we know today. The European: I would still say that the quest is not to remake society but to make it the best it can be. And that requires an awareness of the some of the problems that you have already mentioned. We need a certain sense of urgency to prevent apathy. Brand: The term that I would object to is urgency. What if there is plenty of time to address the basic problems? What if what we need is persistence and patience? That is quite different from urgency. I grant you that there are immediate problems that require immediate attention. But for larger issues like climate change, our actions are important, not urgent. We must pursue incremental change, we must be open to experimentation, we must be persistent. The European: I want to go back to the idea of framing. More information than ever before is available to us through technological innovation. How can we tame that jungle of knowledge and make it useful and digestible? Brand: It strikes me that the internet has already been tamed. Google or Wikipedia give us the ability to rank things, to organize central hubs of information, to search all of human knowledge. The quality of books is increasing, because we can now find information and fact-check as we write. The depth of knowledge on the internet is surprisingly manageable. The European: When you started to publish the Whole Earth Catalogue in 1968, you said that you wanted to create a database so that “anyone on Earth can pick up a telephone and find out the complete information on anything.” Is that the idea of the internet, before the internet? Brand: Right, I had forgotten about that quote. Isn’t it nice that I didn’t have to go through the work of collecting that information, it just happened organically. Some people say to me that I should revive the catalogue and my answer is: The internet is better than any catalogue or encyclopedia could ever be. The European: You have been involved in some of the early discussions about the internet that were still characterized by a certain spirit of counterculturalism: John Perry Barlow, the Electronic Frontier Foundation, the memories of the Grateful Dead. Have those discussions been overtaken by a more mainstream discourse? Brand: There are pockets like edge.org, where I and some others hang out to keep track of things and of each other. There’s a real rigor and a focus on science in that project. So there are many enclaves for critical discussion all over the internet. We talk a lot over listservs. Today’s young generation might not even know them anymore, I don’t know. They are basically long group email chains. I wouldn’t be surprised if this persisted off the mainstream. In a way, even the Facebook chat is a continuation of the bulletin boards of the 1980s that were user-driven online discussions. What I find particularly interesting right now is the embrace of those discussions in the developing world. It might happen in the form of text messages or on Twitter. I don’t think the form determines the triviality of information or the level of discussion. By having much more opportunities and much lower costs of online participation, we are in a position to really expand and improve those discourses. The European: So the impact of technological progress has been overwhelmingly positive? Brand: The answer is yes. When Nicholas Negroponte said a few years ago that every child in the world needed a laptop computer, he was right. Many people were skeptical of his idea, but they have been proven wrong. When you give internet access to people in the developing world, they immediately start forming educational networks. They expand their horizons, children teach their parents how to read and write. The European: If we assume that Moore’s Law is reasonably accurate, we would have computing power by the end of the decade that is 32 times faster than today. Do we have any idea of how to put that processing power to good use? Have we thought about what technological innovations are good innovations, about what path we should follow? Brand: I usually don’t frame questions that way. Usually when we theorize about technological progress, we tend to over-emphasize the harmful consequences and under-emphasize the positive consequences. We are generally surprised and amazed by the benefits that arise. That has happened enough times that I am skeptical about pessimistic assessments of technological progress. The European: You mentioned the idea of surprise and amazement. On the back cover of the 1974 Whole Earth Catalogue, it said something similar: “Stay hungry, stay foolish”. Why? Brand: It proposes that a beginner’s mind is the way to look at new things. We need a combination of confidence and of curiosity. It is a form of deep-seated opportunism that goes to the core of our nature and is very optimistic. I haven’t been killed by my foolishness yet, so let’s keep going, let’s take chances. The phrase expresses that our knowledge is always incomplete, and that we have to be willing to act on imperfect knowledge. That allows you to open your mind and explore. It means putting aside the explanations provided by social constructs and ideologies. I really enjoyed your interview with Wade Davis. He makes a persuasive case for allowing native cultures to keep their cultures intact. That’s the idea behind the Rosetta Project as well. Most Americans are limited by the fact that they only speak one language. Being multilingual is a first step to being more aware of different perspectives on the world. We should expand our cognitive reach. I think there are many ways to do that: Embrace the internet. Embrace science. Travel a lot. Learn about people who are unlike yourself. I spent much of my twenties with Native American tribes, for example. You miss a lot of important stuff if you only follow the beaten path. If you look at the world through the eyes of a fool, you will see more. But I probably hadn’t thought about all of this back in 1974. It was a very countercultural move. The European: In politics, we often talk about policies that supposedly have no rational alternative. Is that a sign of the stifling effects of ideology? Brand: Ideologies are stories we like to tell ourselves. That’s fine, as long as we remember that they are stories and not accurate representations of the world. When the story gets in the way of doing the right thing, there is something wrong with the story. Many ideologies involve the idea of evil: Evil people, evil institutions, et cetera. Marvin Minsky has once said to me that the only real evil is the idea of evil. Once you let that go, the problems become manageable. The idea of pragmatism is that you go with the things that work and cast aside lovely and lofty theories. No theory can be coherent and comprehensive enough to provide a direct blueprint for practical actions. That’s the idea of foolishness again: You work with imperfect theories, but you don’t base your life on them. The European: So “good” is defined in terms of a pragmatic assessment of “what works”? Brand: Good is what creates more life and more options. That’s a useful frame. The opposite of that would not be evil, but less life and fewer options. 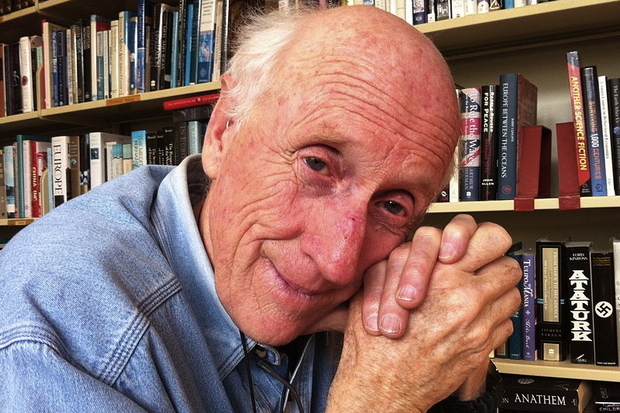 Stewart Brand is the founder of the Long Now Foundation, the Global Business Network, and of the internet platform The WELL. From 1968 to 1998, he was editor of the Whole Earth Catalogue. Brand was the original founder of the Haight-Ashbury Trip Festival and, in the 1960s, persuaded NASA to release the first pictures of the whole earth from space after studying biology at Stanford University and serving in the US Army.